Setting up this hidden camera is simple, and only takes a few minutes. The camera can be battery powered via the internal rechargeable battery for up to 8 hours of continuous operation or can be AC powered using the included charger, giving it the ability to operate 24/7. The clock itself is fully functional and displays both the time and current date. The hidden camera lens records 1080P at the push of a button. Choose either motion-activated or continuous recording. To view your recorded videos, simply remove the micro SD card and insert it into a card reader or into a card slot in your PC or Mac computer (or connect it directly using the included USB cable). There is no special software needed – just click on the video files to play. This Alarm Clock With HD Camera is perfect for Home Security to keep an eye on your home while you are away and is very good for taking care of elderly members of the family who always needs someone eyes. 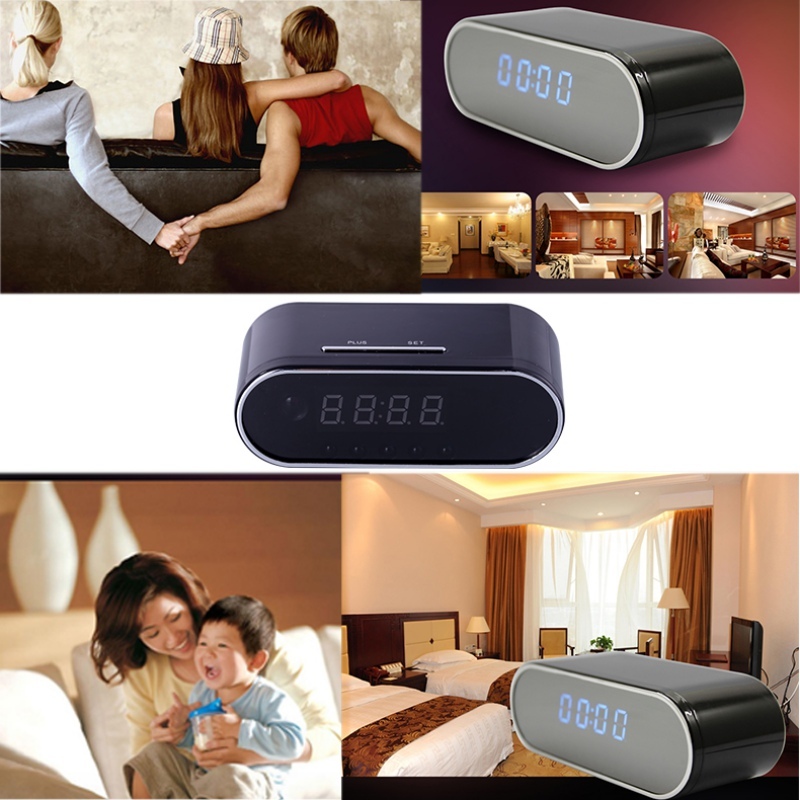 Alarm Clock With HD Camera is also useful in keeping eyes on your babysitter or you can also keep eyes on your lovely pets. 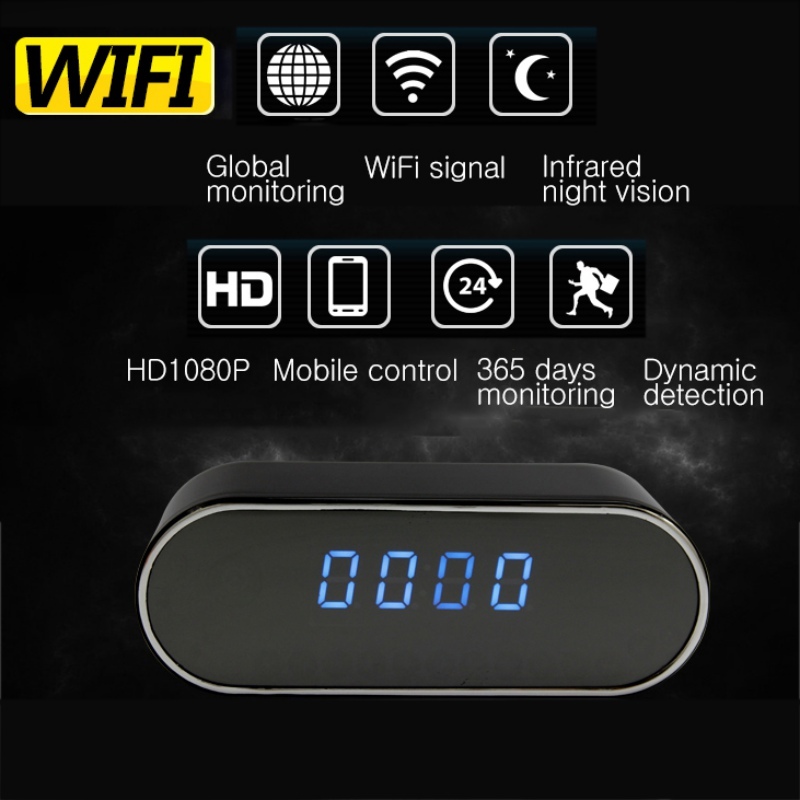 The mini night vision clock camera features two recording modes. Choose battery power for convenient portable operation, and get up 8 hours of operation on a single charge. 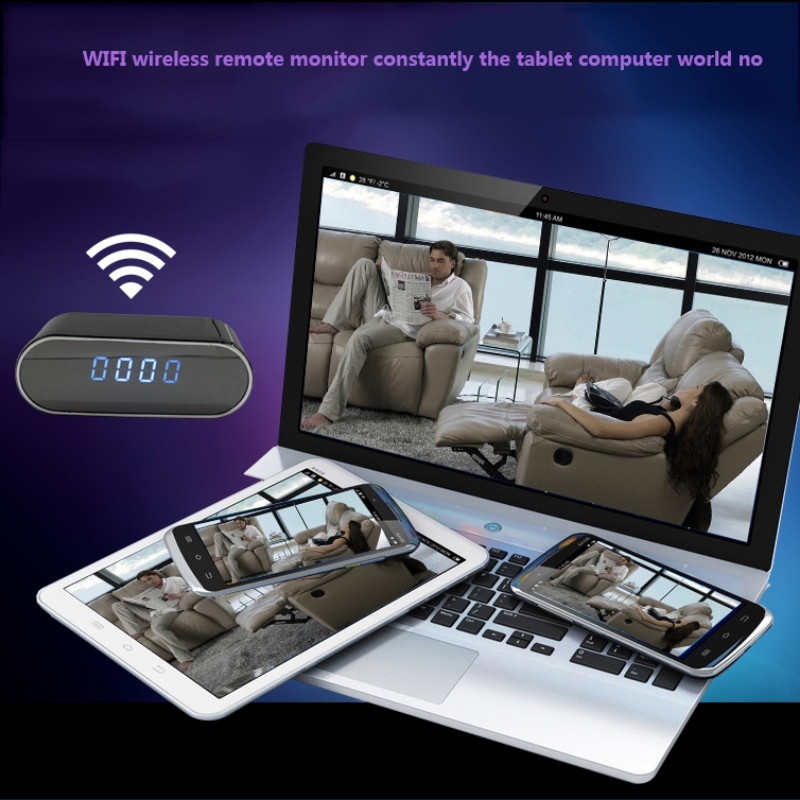 Or switch to AC power and get 24/7 recording with no battery life concerns. The 1080P Alarm Clock With HD Camera records in 1080P high definition color video. You’ll be able to easily see what’s going on in your home or office. Monitor your babysitter or nanny, keep an eye on your kids or employees, or even investigate a possible cheating spouse. In addition to normal daytime recording, you can also see what happens when the lights go out with the built-in night vision sensors. These built-in sensors allow the camera to see and record even in total darkness so you won’t miss anything. The night vision alarm clock camera features two recording modes. 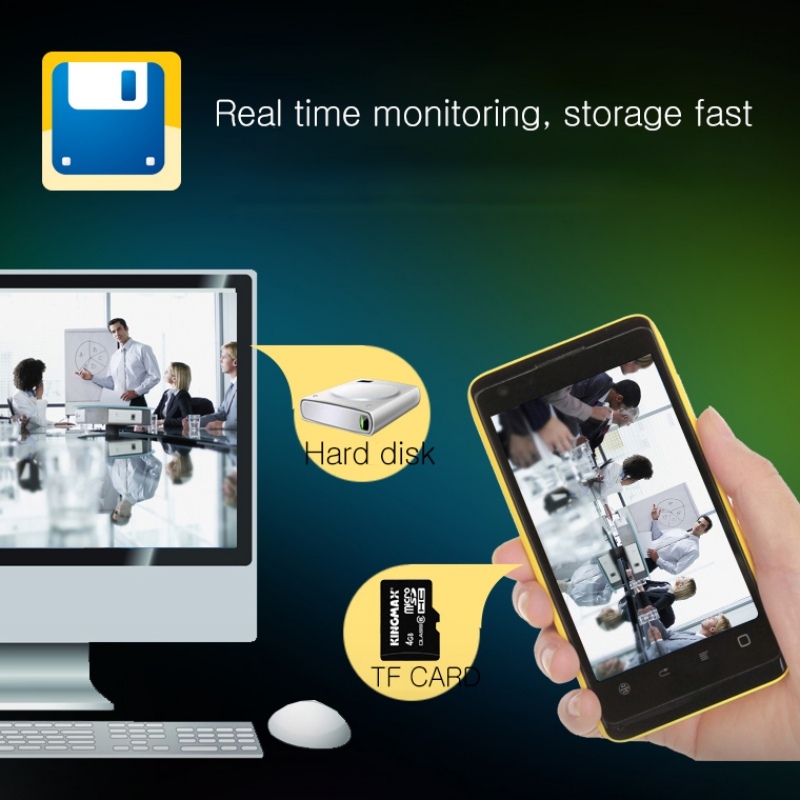 Choose motion-activated recording and the camera will record only when activity is detected. You can also put the camera in continuous recording mode for 24/7 round the clock recording. Videos from this nanny camera are recorded to a micro SD card hidden inside the back of the device (up to 32GB in capacity). Videos can be played back on both PC and Mac computers. We recommend VLC Media Player for optimal playback performance. There are no signs that this ordinary looking clock is actually a hidden spy camera with a pinhole camera lens. And because clocks are so common, you can place this device almost anywhere for covert video surveillance. Designed to be simple to operate and use. Just charge the battery (or plug into AC power), insert a memory card, and the camera is ready to go. There is no complicated setup or configuration needed for this nanny cam. Another feature of the night vision clock camera is the embedded time and date stamp displayed on the corner of the recorded video. This time/date stamp allows you to see when your video files were recorded, perfect for evidence and documentation purposes. FREE shipping. No surprises or hidden fees on this Alarm Clock With HD Camera. 30 Day Money Back Guarantee on this Alarm Clock With HD Camera.